“Power Struggles” is a sample activity from the book Mindfulness for Teen Anger and is reprinted here with permission from New Harbinger Publications, Inc.
Powerlessness is the curse of being an adolescent, wanting to make your own decisions but having to follow adult rules that may seem stupid. Feeling powerless day after day can be a breeding ground for anger. If you feel powerless in one part of your life, you may abuse power in another. It’s a way to get back at someone else for how you’ve been made to feel. Empowerment is the balanced sense of power that comes from within. You have a healthy self-confidence that enables you to achieve what you hope to achieve, and not at the expense of others. Empowerment is the only kind of power that actually feels good. For each of the stories below, decide whether the person is (a) feeling powerless, (b) abusing power, or (c) acting empowered. 1. Ashley’s boyfriend threatened to break up with her if she didn’t skip after-school tutoring to be with him. 2. When Ashley’s parents found out she skipped tutoring, they tried to ground her. She exploded, saying she hated them and threatening to hurt herself if they kept her prisoner. 3. 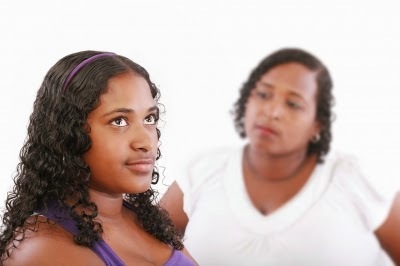 Jasmine’s mom is really overprotective: she never lets her go out, and she reads Jasmine’s texts. Jasmine is so angry that she’s considered running away. 4. Jasmine expresses her feelings of frustration, and talks with her mom to negotiate rules they can both live with.